When Jeannie was 11 years old her hearing loss was identified and she was fit with hearing aids in both ears. Unfortunately the quality of the amplification was so poor, noisy, and distorted that she rejected the hearing aids. Because of that early experience she did not seek help for her hearing loss until 2014 when a friend told her about the Red Bird Clinic, Inc. Hearing Clinic. She came to the clinic, and after being tested was told she would benefit from amplification and encouraged to give it a try. After two years of waiting on the list of persons to receive hearing aids, she was fitted with a hearing aid for her only hearing ear in November of 2016. Jeannie’s experience with the Red Bird Clinic, Inc. 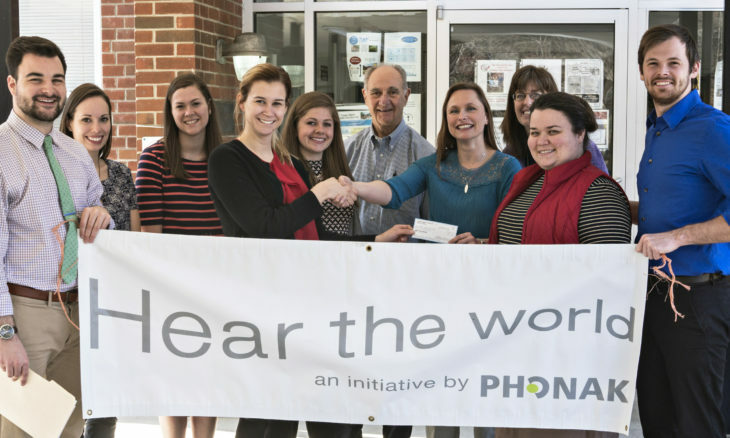 Hearing Clinic exemplifies the contribution they are making to the people with hearing loss that come to them for help. She wants all to know how grateful she is to Red Bird Clinic, Inc. for all that they do for people, and for the new life that she has because of them.